Building on a natural bond, the wisdom and experience of foster grandparents enrich the lives of children, adolescents and young adults. 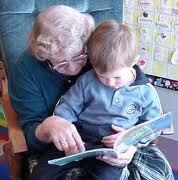 Foster grandparents are role models, offering a stable, loving presence in a young person's life. They provide an extra pair of hands and eyes in the classroom. They are friends who listen, read, take walks, and sing with children. They support and nurture students in schools, Head Start classrooms, and child care centers. Orientation and ongoing assistance and training are provided. 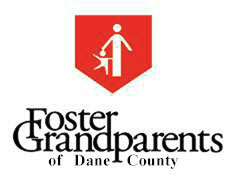 Interested in being a Foster Grandparent? "You could just stay home, or you could come here and make a difference in the life of ‎a child."